In addition to a college-preparatory academic program that offers over 33 Advanced Placement classes and a STEAM curriculum featuring advanced technology, a CISCO certification program, renovated science labs and engineering classes, Immaculate High School has an award-winning Fine Arts program, a student career internship program, athletic teams that have won SWC and State Championships, 44 clubs and a Campus Ministry program that instills faith, compassion and reverence for others. Community service is also stressed; in 2018 students performed 27,794 hours of community service. 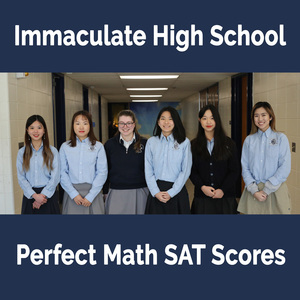 In the 2019-20 school year, Immaculate will be offering additional business courses as well as a Certified Nursing Associate program.